Farming Foible, or an Agrarian Adventure? 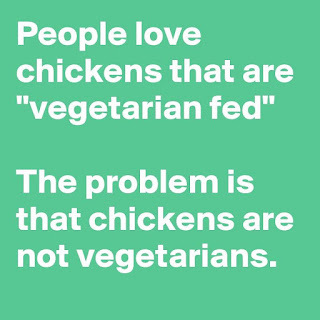 : Chickens, well, they're kinda gross. 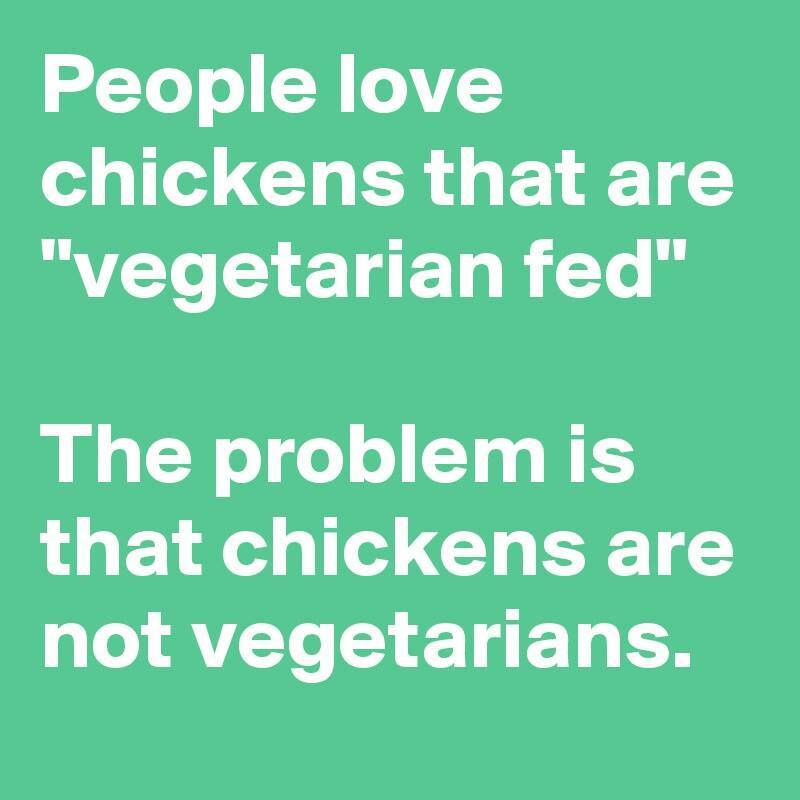 Chickens, well, they're kinda gross. Fun fact, when allowed to eat whatever they want chickens eat grass, bugs, dig through manure, and sometimes even eggs if you forget to collect them for a few days. Also, I did watch in horror as the survivors of our butchering day fought over the hearts of their fallen brethren. You know, to absorb their power. Free range chickens are kinda gross. Delicious, healthy, and nutritious; but still kinda gross, and DEFINITELY not vegetarian. The seedy underbelly of inheritance.